We left Palmetto January 26th for Sarasota. The ride on the bay was a rough one. 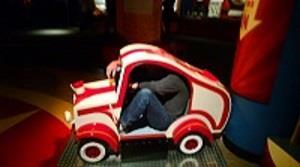 It was very rolly polly. 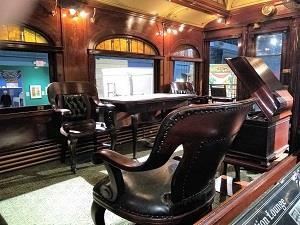 If you've been following the blog, you know how I feel about this kind of travel. Tilly doesn't do well either. We were headed for Marina Jacks in Sarasota. I must say, It was a relief when we finally made it to the marina. Along with the slips, the fairways were nice and wide. The marina was located down town which was handy. We stayed two nights so we could have a full day of sightseeing. 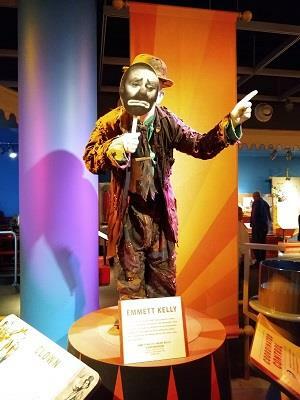 We wanted to get over to the Ringling Circus museum. Unfortunately the weather didn't cooperate with our sightseeing. it was very windy and rainy. 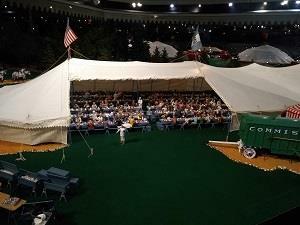 Fortunately, the marina had a car service so we were able to take advantage of that service to get to the circus museum. 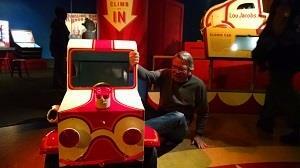 There was so much to see that it was challenging to absorb everything during one visit. 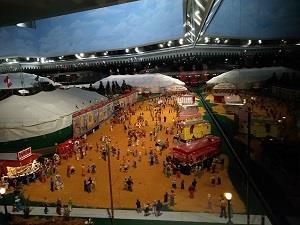 We started out touring the world's largest 3,800 square foot miniature circus display. We were in there for several hours. 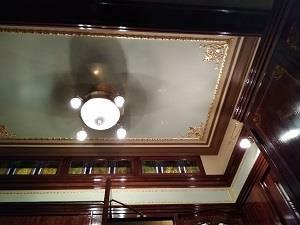 The details were amazing. 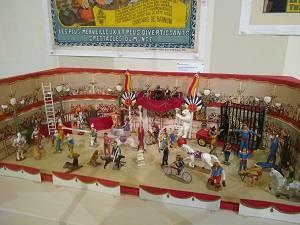 The miniatures are 3/4 inch-to-foot scale recreation of circus life outside of and under the Big Top. 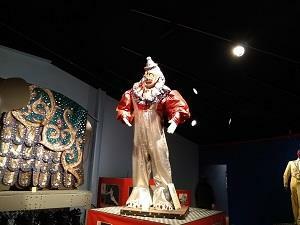 After the circus miniature building we headed over to another building which covers more of the Big Top's history. 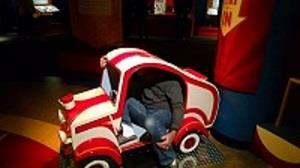 Even though Tom hates clowns, he had to try his hand at getting in and out of the tiny clown car. It was hilarious watching him struggle in and out. 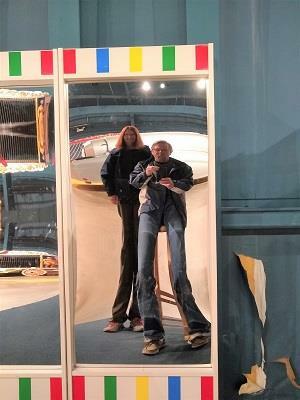 We always get a hoot out of the distorted mirrors. 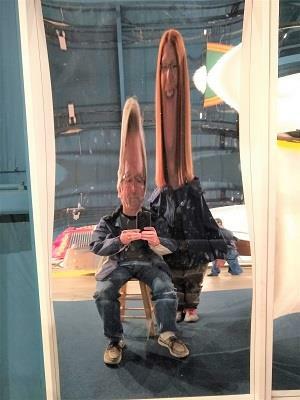 I have to laugh every time we're in front of one. 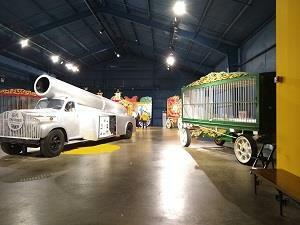 Moving along into another building we found the human cannon ball truck and animal wagons and other large circus pieces. 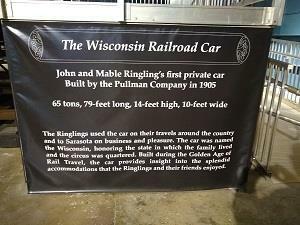 Another must see the "Wisconsin" Railroad Car which was John and Mable Ringling's private car. 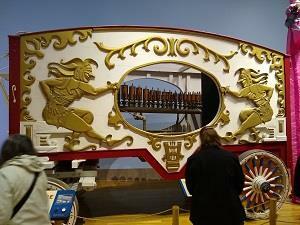 It was named "Wisconsin" in honor of the Ringling's home town of Baraboo, Wisconsin. 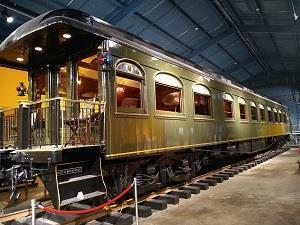 The car was built in 1905 and was a luxurious form of travel for the Ringling's. The car is so beautiful. 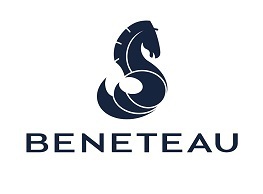 There are two stateroom, a dining room, servant quarters, private bathroom and more. 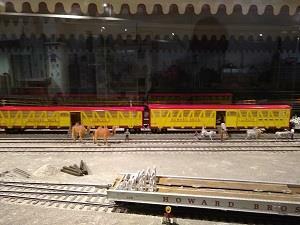 Considering where I've been living for the last 3.5 years, I could have been quite happy living in that railroad car. Yes really, I could. 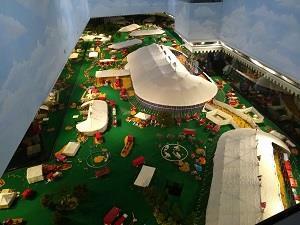 If you get to Sarasota the museum is a must see. There's so much more to see, but we ran out of time. 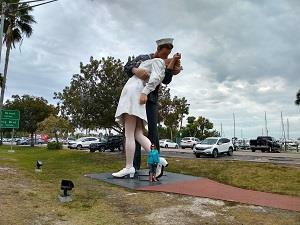 Along the way back to the marina we spotted a giant statue of the nurse kissing the sailor after learning WW II had ended. That spec below the nurse's foot is me. We left Sarasota on January 28th and headed to Gasparilla Marina. Gasparilla was the last stop before Fort Myers and we were only there for an overnight.